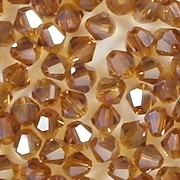 Size/shape: 4mm (long) x 4.5mm (wide) cut-crystal bicones. 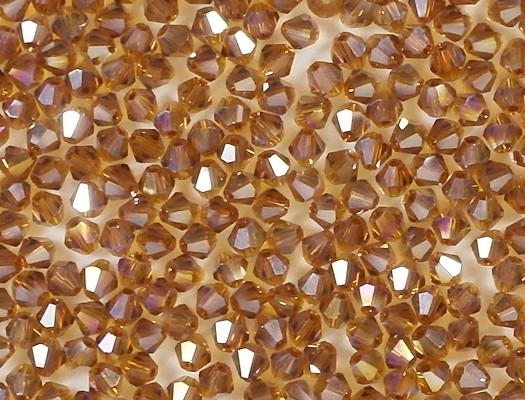 Cut-crystal bicones have six sides rather than the four sides that ordinary bicones have. 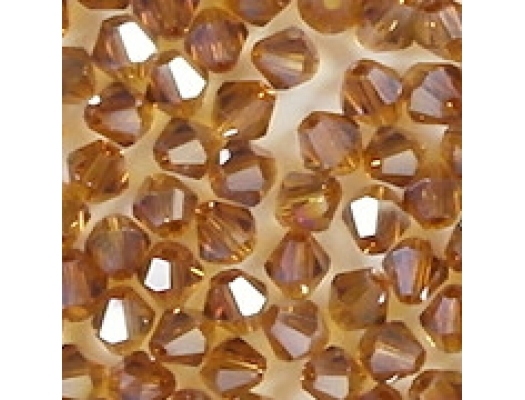 Colors/description: Medium yellowish-brown glass with a luster iris coating which has some subtle colors in it. Purple, blue and amber seem to be the most prevelant colors in the coating. The Chinese call this an AB coating (aurora borealis); but since Czech AB coatings are very silvery, and this coating is not, I am calling it "luster iris" to be consistent with my terminology for Czech coatings. Defects: Bicones should be symmetrical from one end to the other, but with Chinese bicones, some are shorter on one end. 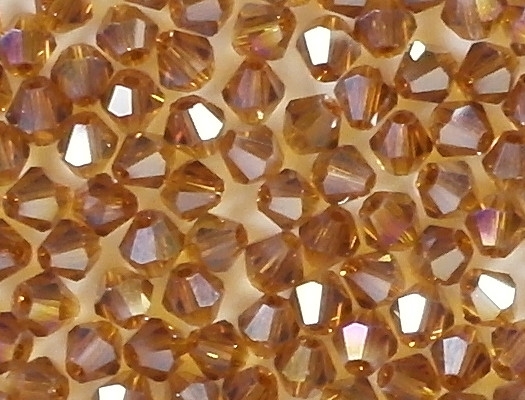 Also, some beads may have chips around the holes, and an occasional bead may be lacking facets at one end. However, Chinese bicones are one-third the cost of Czech bicones, so it is worth dealing with more defects. I think that my picture is accurate. 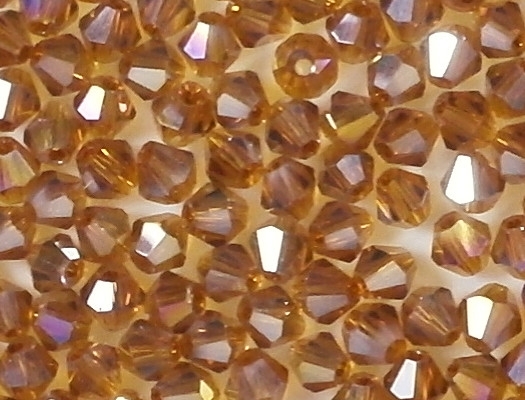 Under bright light (which I used for the picture), the beads look more amber than brown; but in low light, they look more brown.